The challenge will run from May 1, 2014, to August 31, 2014. No books that are started before 12 a.m. on May 1 or finished after 11:59 p.m. on August 31 will count. How to keep track: I’ll publish a check-in post on the first day of each month, beginning June 1, on which you can comment with your progress. I will also include the scoreboard from the previous month on each check-in post. 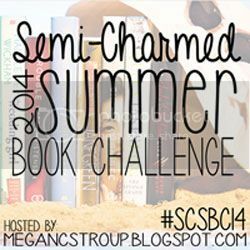 I will also host a link-up on Friday, April 25, if anyone wants to share their preliminary reading list for the challenge (see an example post from one of my previous challenges here). A preliminary post is not mandatory to join the challenge, but it's a good way to see what other people are planning to read and get some ideas for categories you might be stuck on. 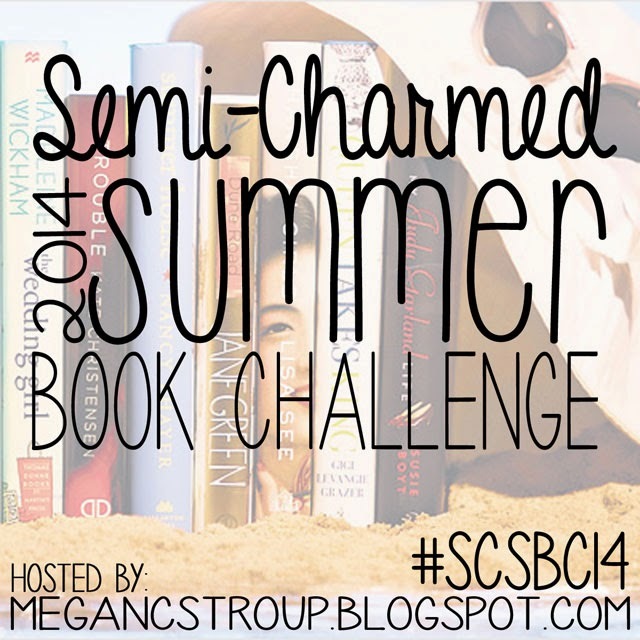 Also feel free to share the below button and/or the hashtag #SCSBC14 on your blog, Twitter, Instagram, etc., to get the word out! Be sure to mention me so I can see how you're doing (@semicharmedkol on Twitter or @mcstroup on Instagram). Update: The fabulous new button above is courtesy of Kelsey at Keeping Up With Kelsey. Thanks for designing a fabulous new button for this year's challenge, Kelsey!